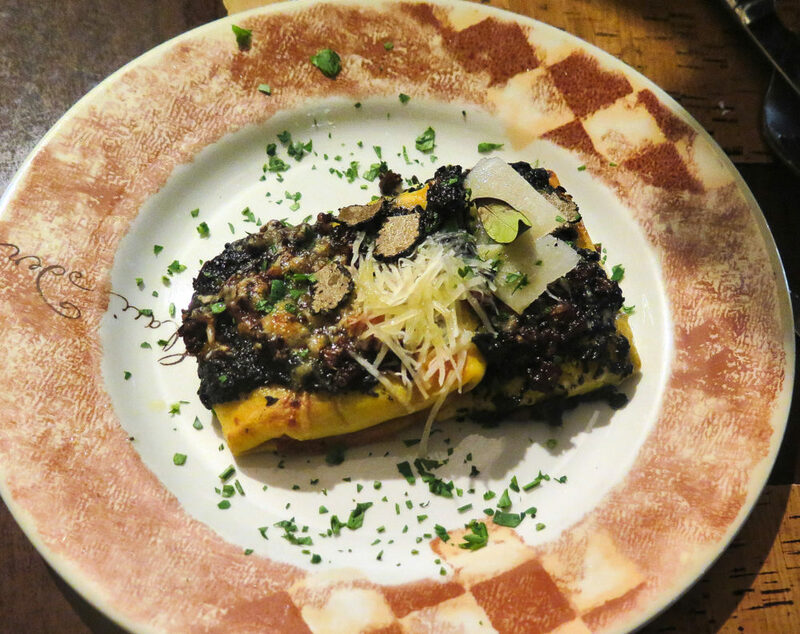 Probably my new favourite restaurant in Rome, Vin Allegro – in Trastevere – ticks all the boxes. 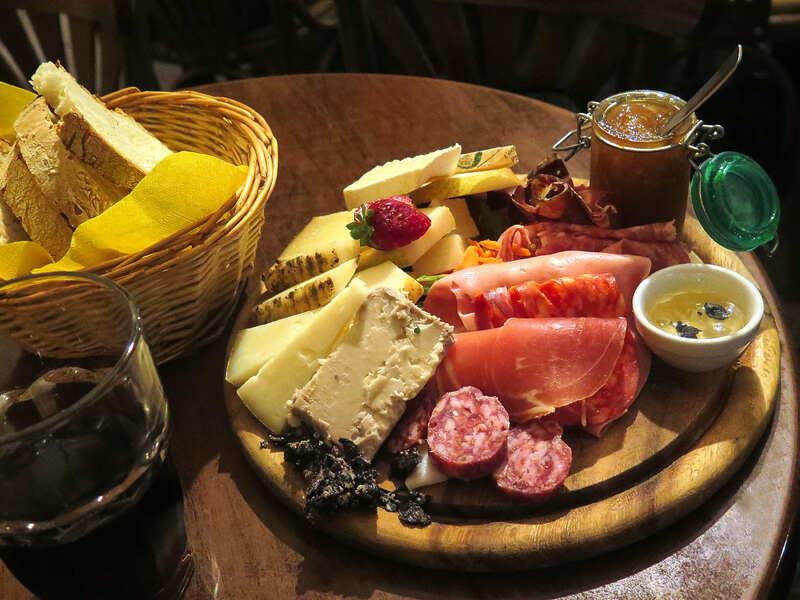 If you happen to stop in for pre-dinner drinks in the afternoon, you can enjoy the free antipasto smorgasboard. Something I think would go a long way to curtailing alcohol related violence in countries like Australia. Partly because there’s eating involved in the drinking process, partly because you’d be too busy talking about how good the food is, to consider punching anybody. 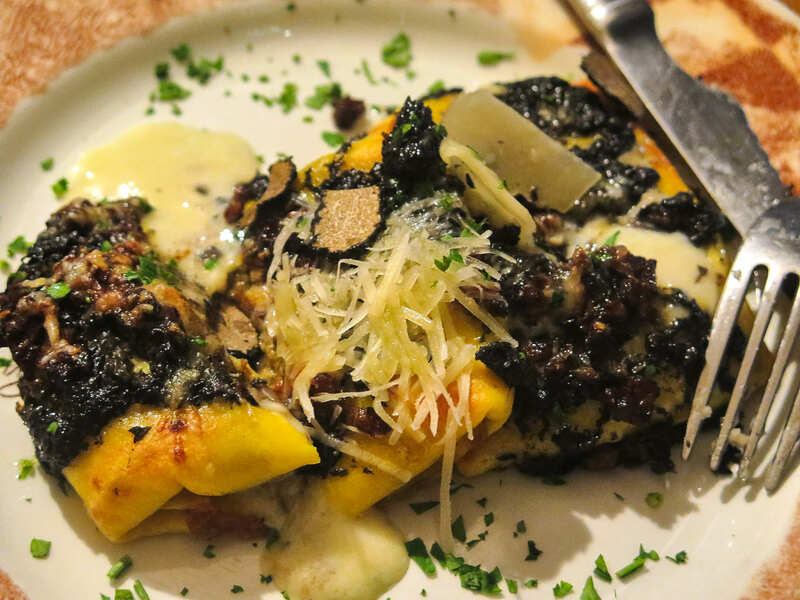 Or the show-stopping Fagottini Ripieni di Bufala e Funghi Porcini (€10), which comes with a slice of Reggiano and Black Truffles. Amazing. We came back twice to re-order this. Something I rarely do when I have precious time in a foreign city. If you’re not in the mood for anything that heavy, no fear! 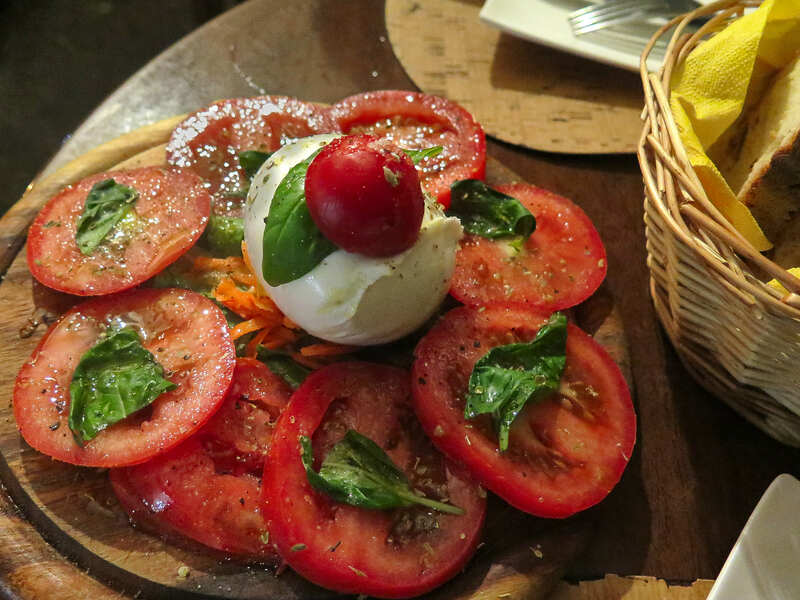 Order yourself a glass of Amarone or Barolo and kick back with Caprese Salad (€9) featuring a whopping big ball of Mozzarella di Bufala, and watch the world go by… Roman style. 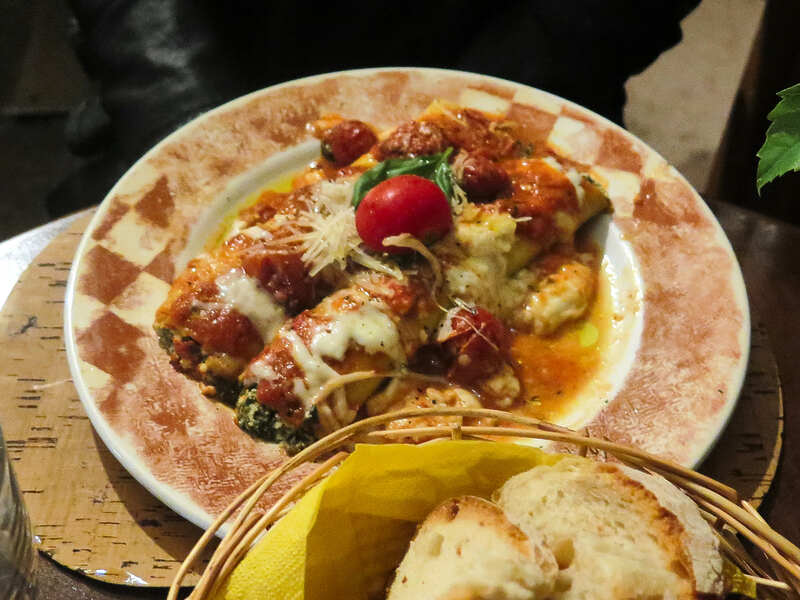 Don’t visit the Eternal City without stopping by this gem.